So I had this tank up and running for about a year and a half..... 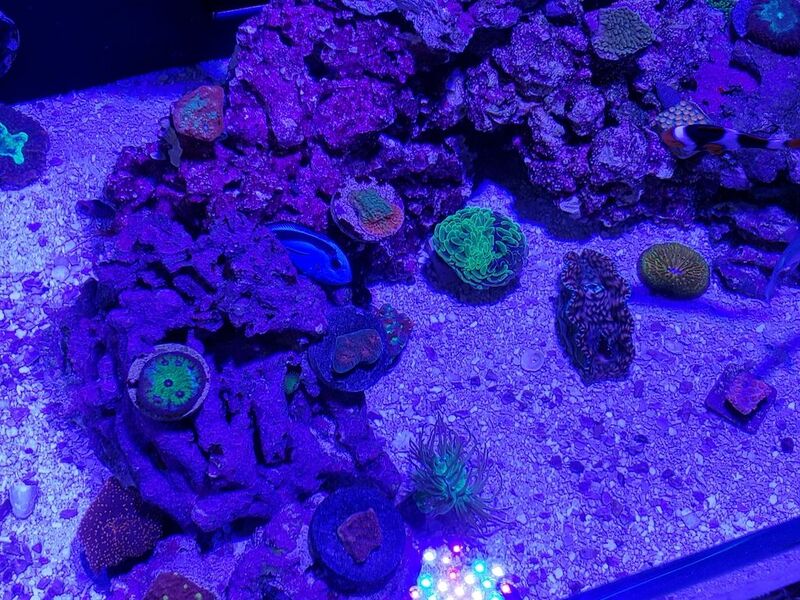 It went well had lots of random corals, pretty much a complete random mixed reef including RBTA's. 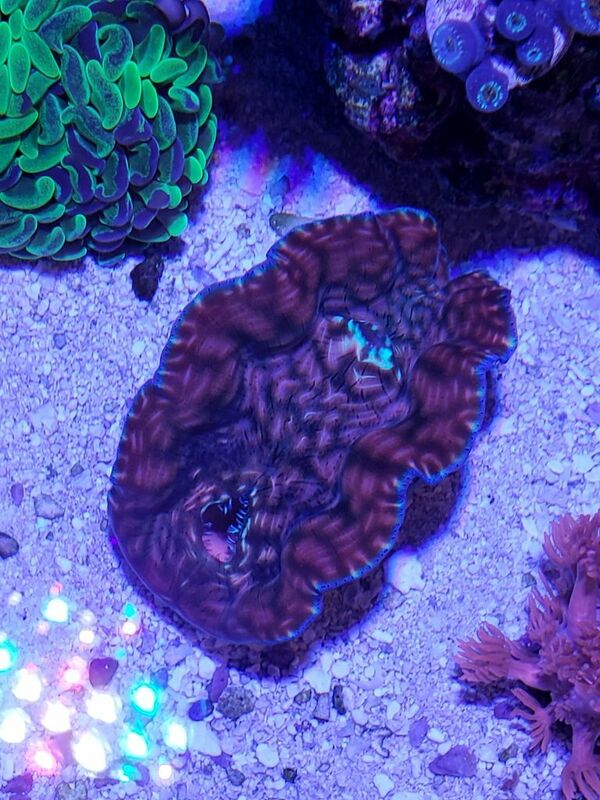 Anyways I had way too much stuff in the tank, wayyyyy too many random frags from friends and stuff I just did not care for.... Then I got bryposis from a random reefer that I could not get under control... 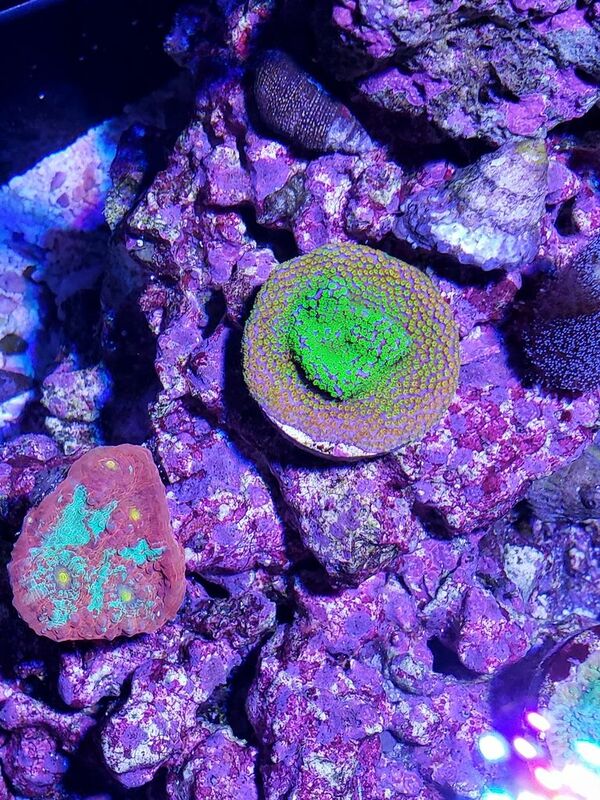 I also got bubble algae same thing.... Last straw was getting Monti eating Nudi's from someone and it destroying my huge orange cap. 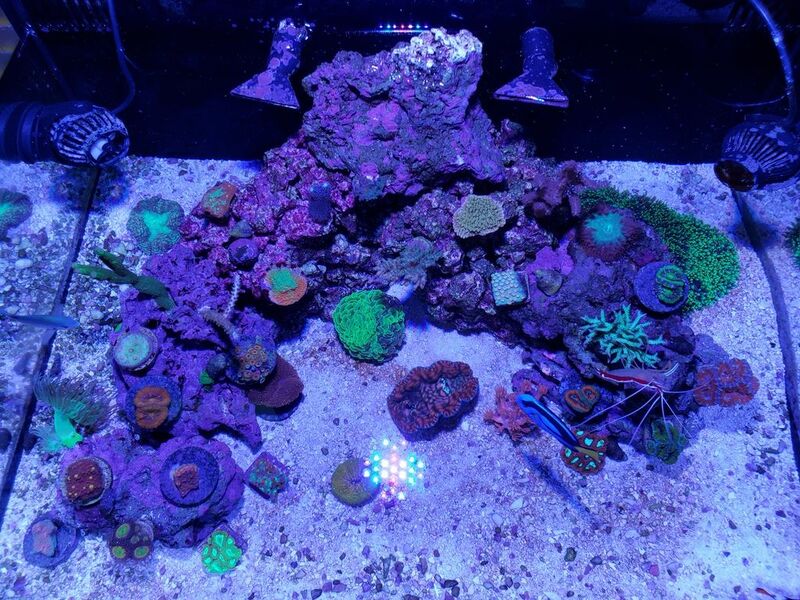 So I broke it down got rid of my remaining corals, anemone, clam, etc. Got all new Live Rock and Live Sand..... and here I am. I did keep my fish and inverts. Here it is. 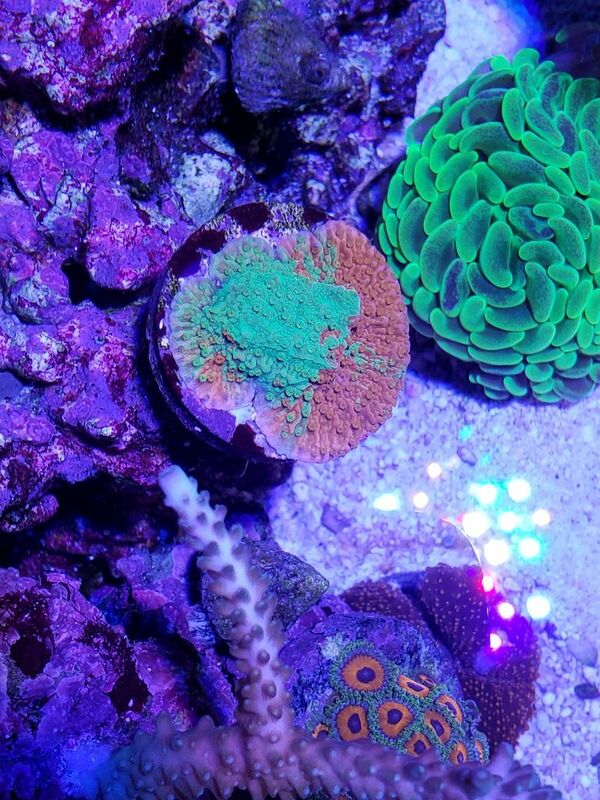 Keeping it a mainly high end LPS, zoa, shroom and some interesting Monit's. What preventative measures did you employ to minimize the introduction of the same problems during the reset? I, unfortunately, ended up with many of the same invasive problems, in time. 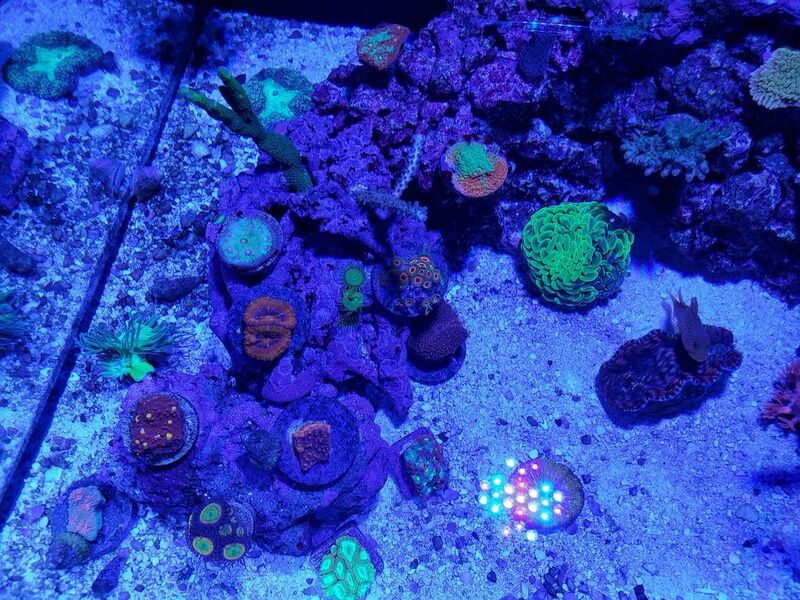 Good luck and I really like your reef. 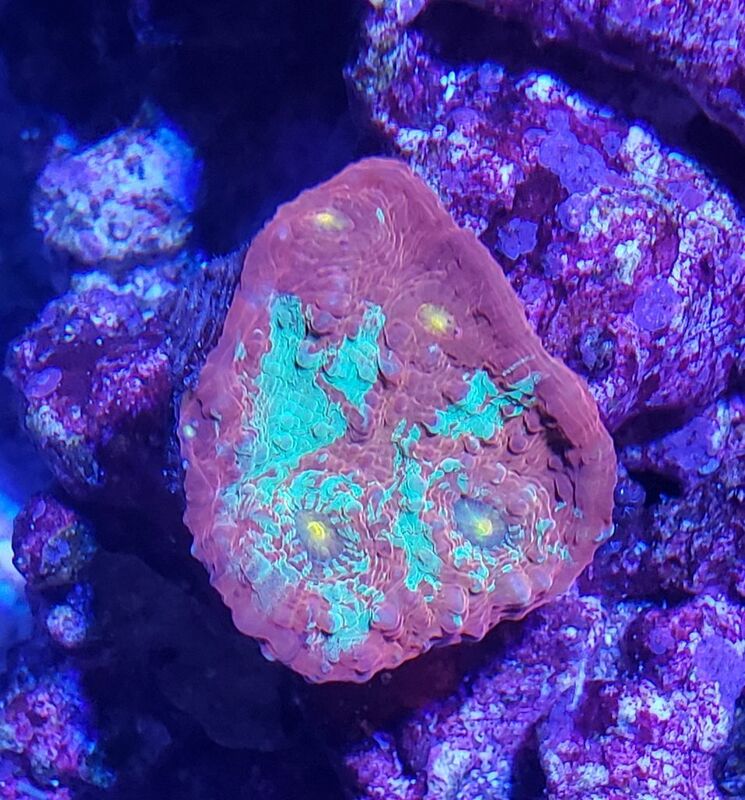 Last time I took free or cheap frags from anyone. 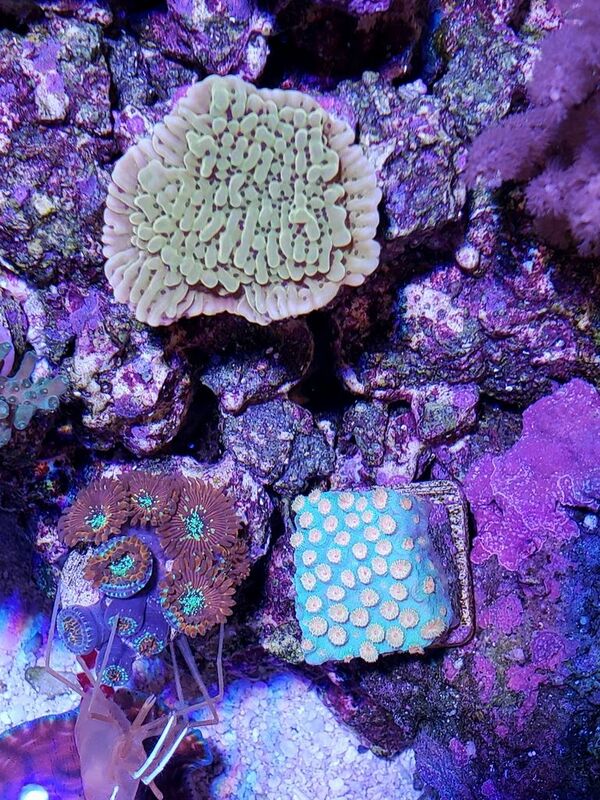 Im not doing a QT but being way more selective from where I get my corals. 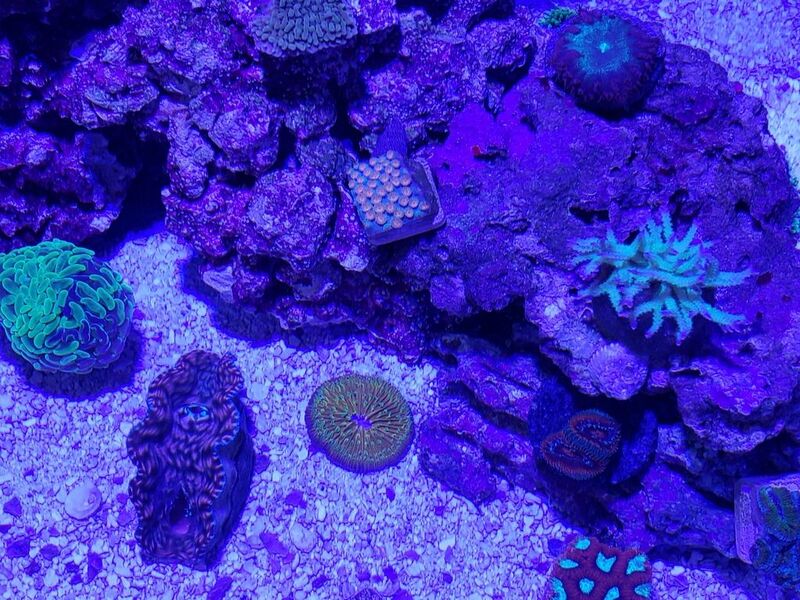 So far only from high end local boutique stores like vivid aquariums and unique corals. These places have great practices with separate areas they inventory and QT new corals for over 30 days to watch for anything. Also their systems are spotless. Doesn't mean I still can't get something crappy but at least I figure this has to help. I know exactly whom i got bryopsis, bubble algae and monti eating nudis from last time and they were all local reefers. 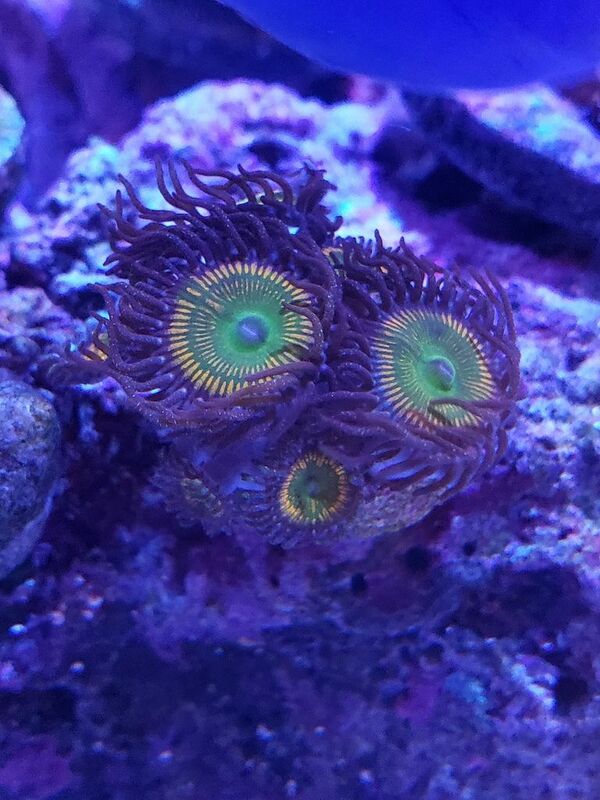 No more local reefer free frags from me unless its someone I really know and trust. ^ Thx, I have had tanks for a long time so I am not worried about a small hippo tang at this moment. The rate they grow is not that fast so once he gets bigger in a year or more I will find him a new home. As for now he loves the tank and so does the leopard, chromis, clown and watchman goby. But yea when they are small they are fine in little tanks but once he gets bigger I will rehome him.... my wife really wanted me to get a "Dori" this time so I had to add him with "nemo"
Good stuff bro. I'm following along as I'm thinking about getting back in the game. Very interested in your thoughts on the IM aquarium quality. I was looking at a 50EXT. That's about my size. For a small AIO tank set up it works just fine. 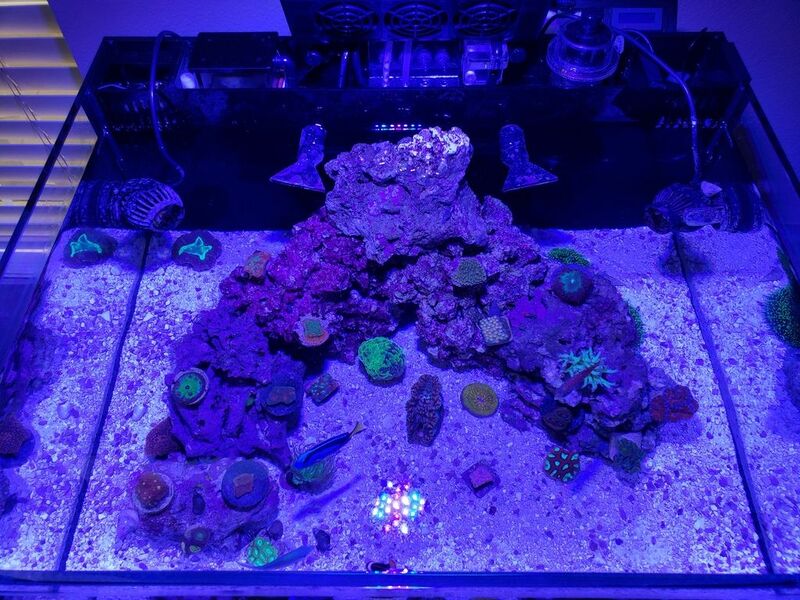 I have mine set up with their media reactor which I run carbon in, I have their ghost skimmer which works really good and also running their in chamber UV light to help control algae which it seems to really do well at. I am not sure how the external ones measure up but I am sure they are great tanks too. I did not want to deal with a sump I just wanted simple and easy haha. 50G is a nice size tank and would actually be my ideal size if I could get one that was AIO. Nice. I like having the dump merely to keep the DT clean to the eye. Keep up the good work and updating the thread. I hear you on that.... IM makes some nice little set ups. So you're happy with IM build quality? It's a new name for me. 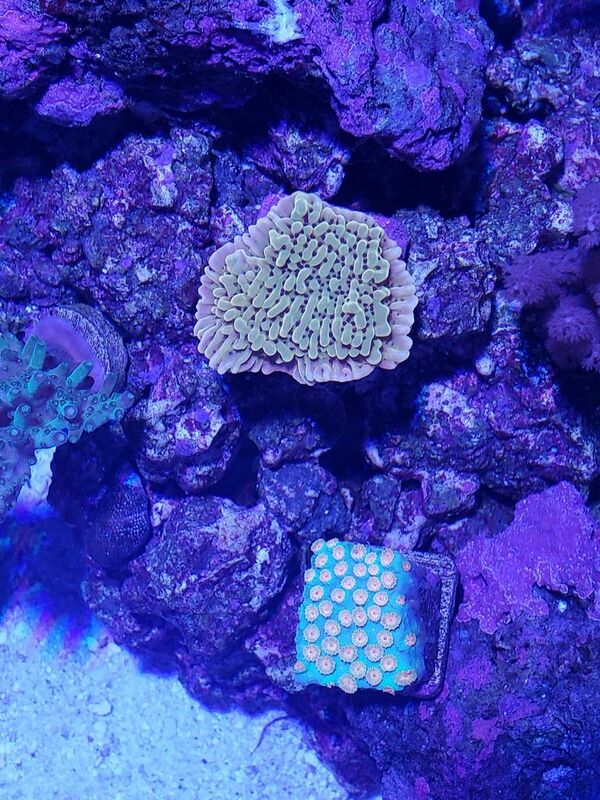 I havent had a tank in a few years and I noticed a few IM out there. It looks clean and solid. And the rimless open top look is my style. I'm uncertain black or white stand lol. Prob leaning towards black. Yea its a sturdy tank for sure nicely made and clean looking.... Believe me I came from 2 custom made high end Lee Mar tanks and this thing holds its own for such a small tank. I a going to urge you to not go with black sand..... looks great for 2.5 seconds then you see all the detrius and brown on it.... i have had many friends do it and then later remove and go back with white sand. A few recent updates. Tank is doing really good things seem happy. Nice! Everything looks good bro. I can't wait to get my hands wet. I think I'm going with a Waterbox AIO since I'm in an apartment. I like the AIO concept for this build. It's a good size to get my hands wet after being away for awhile. Great looking tank! You mind if I ask how your back section is set up? To be honest this little AIO is perfect. I have had many various successful tanks over the years myself and I love the simplicity of an AIO. Having a sump on a larger tank is definitely needed but with all the little gadgets these AIO's have its really cool. Especially the Innovative Marine stuff. This small tank keeps me in the hobby but at the same time not broke and spending long hours maintaining it. 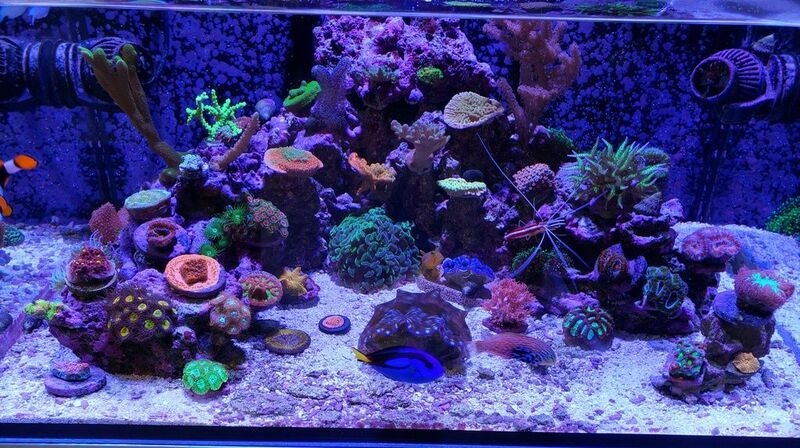 Here is a picture of the back of my tank section.... Kinda shows what I got going on. As you can see I do have the Ghost Skimmer. Supposedly IM has a new release an updated version of this skimmer called the "DC". It says it runs more efficient and delivers a drier skim-mate. I will say the original Ghost works good but it does produce some watery stuff just because it is so small so I would really be interested and might upgrade to the new "DC" myself. 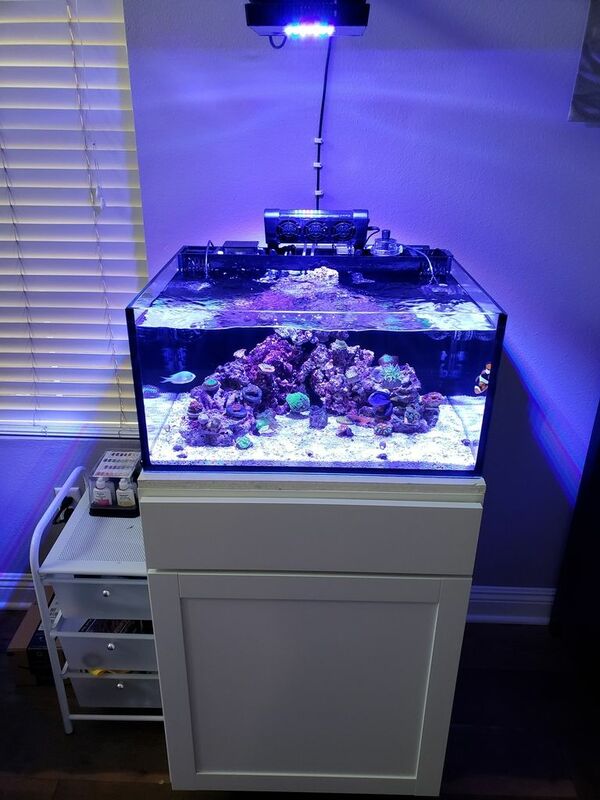 I also have a "Smart" auto top off with a 6g acrylic reservoir in the bottom of my stand holding fresh RO/DI water. I have a cooling fan set up hooked up to a climate control probe that kicks on once tank gets above 80 degrees (mainly for the summer). I have my 2 pump dosing set up for Alk & CA to keep things perfect. I have the IM UV filter which slides directly into one of the over flow chambers. I also have the IM media chamber which I run Carbon in to help clean and polish the water. Well it has been a while since I posted an update of the tank. Things are going pretty good and growth has been increasing. I recently adjusted my lights by increasing the photo period to 11 hours but decreasing peak intensity from 100% to 85% and running peak for only 4 hours. I also lowered my whites more as well to focus on making the color pop. 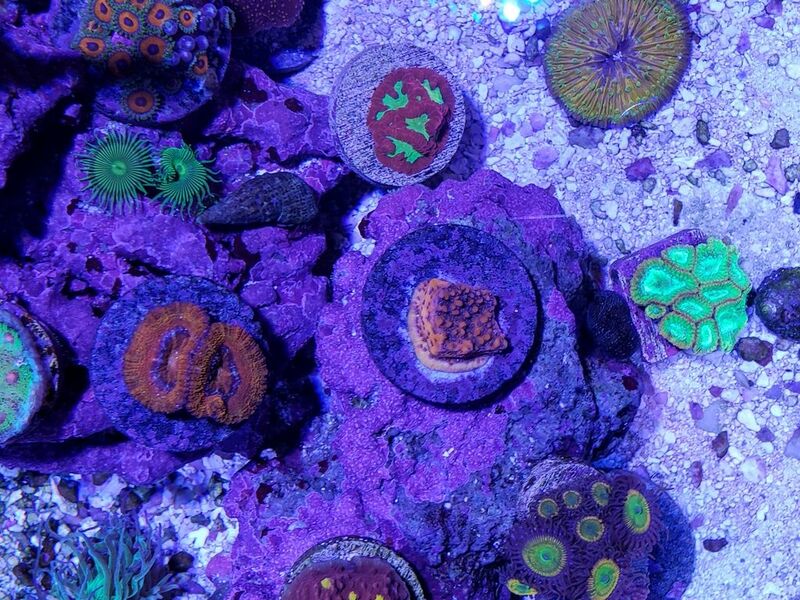 Here is a pic of the center of the tank you can see how well things are growing and how colorful they are. I am currently dosing 10ml of BIonic 2 part ALk & CA which is keeping my levels pretty stable. I also dose Red Sea Coral Colors ABCD .5ml daily of each supplement. 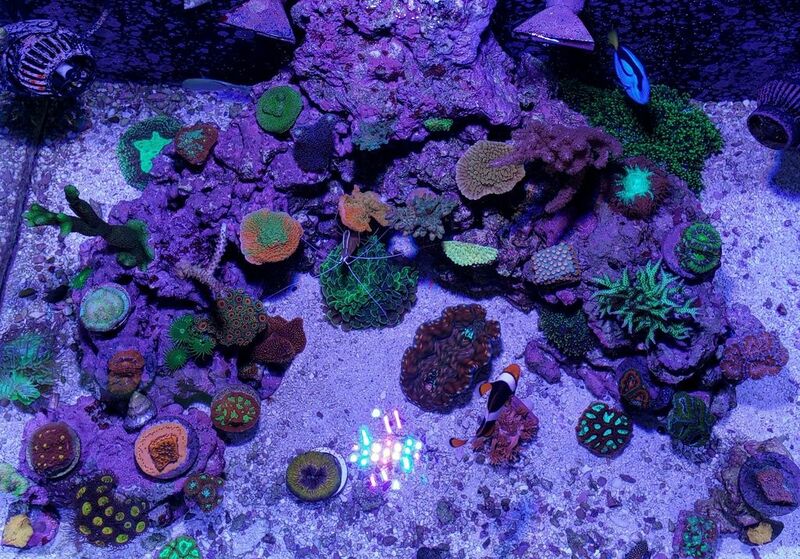 I have been doing a WC every 10-14 days of about 5 gallons using RODI water mixed with Tropic Marin Pro Reef Salt.